There is a lot to learn when it comes to blogging, from getting set up, creating content, promotion, social media, email marketing, the list never seems to end. However, to save time a course can be a great way to learn. But figuring out which course to take that will ensure you actually learn something and that the course is worth the investment of your time and or money can be tough. Below are the best blogging courses I’ve taken (though I’ve taken far more courses than are listed below), they were well worth my time and in the case of the paid blogging courses, well worth my money. The following courses do not cost any money but will help you to better understand the basics of all those blogging concepts you hear about and dive deeper into in other courses. When I started a blog I used someones tutorial on how to start blog. And it got me from having no blog to having one set up. However, the tutorial didn’t really explain why I was doing what I was doing to get things set up. I didn’t understand what the steps taken were actually doing. It also didn't tell me anything about what to do once I was "set up"
This meant that when it came time to move my blog or website from one hosting service to another I have no clue what need to be done or what was involved. Now that I’ve started several sites and moved them around, I do know what’s going on. So when I decided to create my own free “how to start a blog” tutorial I wanted to make sure include explanations on why everything was the way it was so you could really understand and have full control of your blog and website. If you’re wanting to start a blog but don’t know where to start and are left with more questions than answers after reading other “start a blog” tutorials then, sign up for my free course, Start a Blog: From Idea to First Post. Now, my course tells you what to do to get set up with WordPress and why you do what you do to get set up. However, I’d be lying if I said that WordPress didn’t have a bit of a learning curve. And rather than create my own sort of WordPress orientation course and recreating the wheel, I figured I’d just share Grayson's from iMarkInteractive’s course. Grayson is a WordPress Guru and if you’re in any blogging related Facebook Group chances are you’ve seen his name thrown around. He is awesome and decided to be extra awesome by creating a FREE WordPress course to help you get over the hump of learning WordPress. I wish this course had been around when I’d started my blog, because I kid you not it took me 6 MONTHS to figure out how to do a drop down menu. Turns out all you had to do was drag the menu item to the right. SIX. FRIGGIN. MONTHS. So get yourself used to WordPress without headaches, do yourself a favor and just go ahead and sign up for Grayson Bell’s free WordPress course at iMarkInteractive. One of the things you’ll learn when you start a blog is that an email list is essential. The reason is because you own your email list. Unlike social media where the platforms can change the algorithms and the rules at any given time. Which means you might lose out on whatever traffic you’re getting from them. I consistently grow my list every single day, so I went ahead and created a free course on how to start and grow your list course. It covers email marketing services, the difference between a content upgrade and a lead magnet, how to set up delivery of each, and how to promote your freebies to ensure your list is growing every day. You can sign up for the free How to Start and Grow Your Email List Course here. Now if you have some money to invest in courses then I definitely recommend you do. I’ve taken all the courses below and highly recommend them. I’ve actually taken even more courses and while I did learn something from each of them, the ones below I felt gave me the most bang for my buck with the highest return on investment. Elite Blog Academy is a game changer, but it is not for the faint of heart. You’ve got to be committed. I signed up for the 2017 version which I got access to in late February 2017 and I didn’t finish the course until late December 2017. Yes, it took me almost a year to complete this course. Now part of the reason it took me so long was because I’ve been blogging for a while which meant I had to go back and fix a lot of things I’ve messed up based on what I was learning in the course. Elite Blog Academy walks you through step-by-step everything you need to do to ensure your blog is a success. While it’s not a technical technical course on how to set up a blog, it is walking you through setting up all the elements you need for a successful blog. It ensures sure you have a solid foundation of content and design as well as strategies in place to grow your list and your traffic. 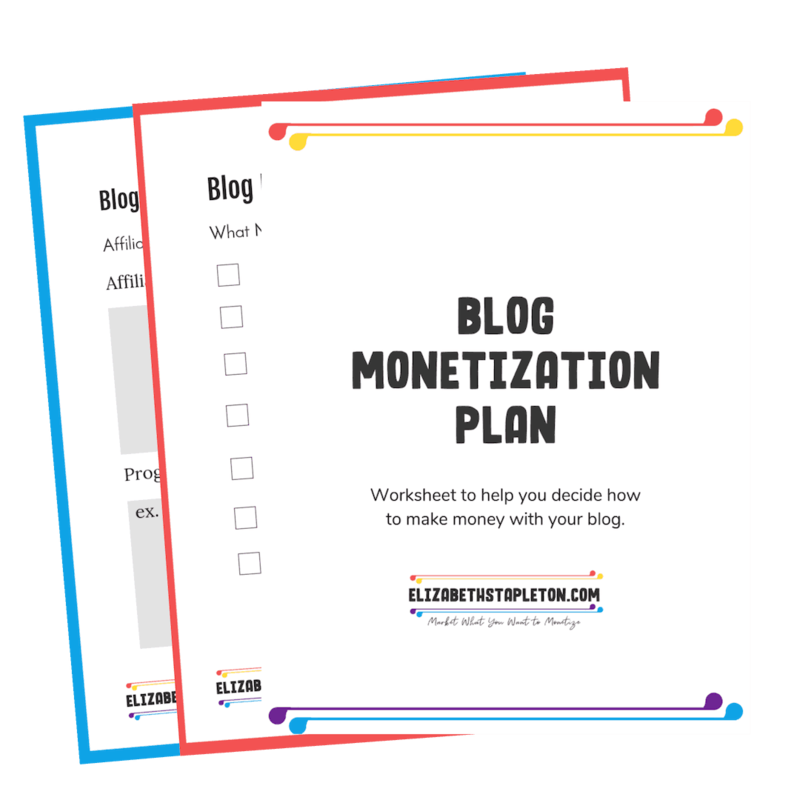 Elite Blog Academy then goes over monetizing your site with ads, products, affiliate marketing, and a few other methods as well. 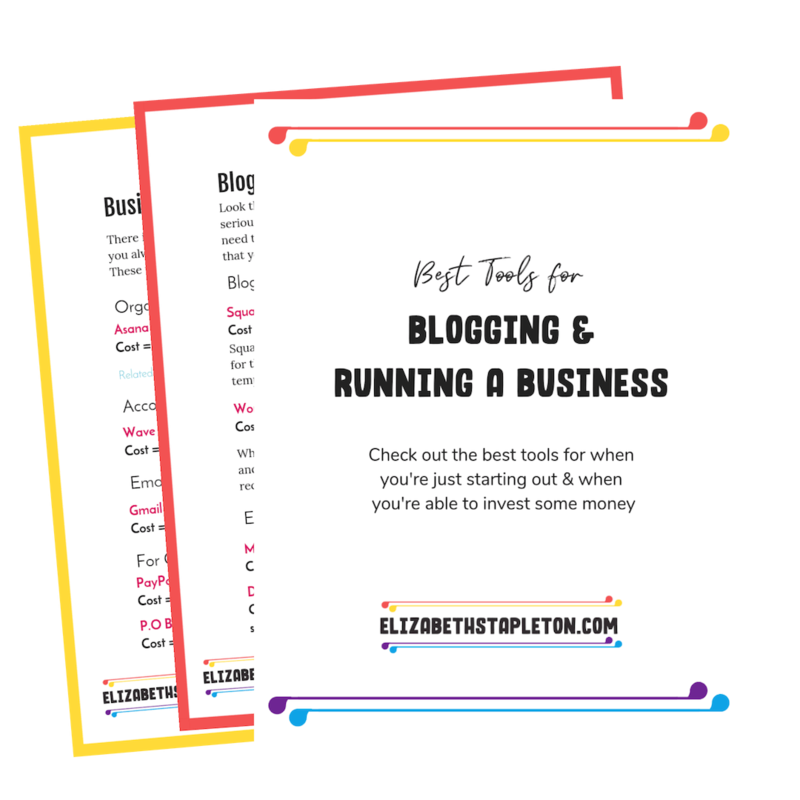 It even includes how to grow your business, that is your blog. It is an entire blogging course that covers every aspect of blogging. Frankly, I don’t know where I’d be right now had I not taken it. When I started Elite Blog Academy I had around 700 email subscribers, but I’ve already doubled that. I’ve also 10x my traffic in 2017. Lastly, I now have a regular income from blogging every month, I cannot recommend this course enough. Now as I said before it is not for the faint of heart and the cost reflects the value it provides. To learn more about it, check out my full review of the course. And remember, it’s also only open once a year, to find out when it is open you can sign up for the waitlist and start saving money while you wait. In the meantime you can go grab the free eBook, 7 Surefire ways to Boost Your Blog Income Overnight. Note: Elite Blog Academy is getting updated for 2019, Elite Blog Academy 4.0 will be released in March 2019. Which means yes, I'll be going through the course again and I highly recommend you sign up when it come available. Join the waitlist here. Now I did just tell you that Elite Blog Academy is an entire blogging course that covers every aspect, so why would you need to take any other courses? Well, while Elite Blog Academy does cover everything, you may decide to dig even deeper into certain topics. Which is where these other courses come into play. These very specific courses helped me to better implement Elite Blog Academy and I truly believe they could help you as well. Date Your List is great for knowing what to send to your list each week. While Elite Blog Academy goes through how to grow your list and set up welcome sequences, it doesn’t really tell you what to write to your list on a weekly basis. And you do need to email your list every week, Date Your List solves the problem. Date Your List is a quick course that is meant to be implemented in an afternoon. The course goes through how you should be approaching your list and what to email them every week. I actually bought Making Sense of Affiliate Marketing before I bought Elite Blog Academy, but I didn’t truly implement everything from it until I was taking Elite Blog Academy. It’s all about the affiliate marketing as you might’ve guessed. And while Ruth Soukup, the creator of Elite Blog Academy does go into affiliate marketing it’s not the one of her main income strategies. Michelle from Making Sense of Cents on the other hand earns over $50,000 a month from affiliate marketing. Michelle knows what she’s doing and she has a great course to teach you how you can start earning money with affiliate marketing. Before I took the course I would get an affiliate sale once every blue moon, if that. Since then, I now make money from affiliate marketing every single month. Now I may not be earning tens of thousands of dollars every month, but for me, every little bit helps. I've been a long time follower of Mariah Coz the mastermind behind Webinar Rockstar, in fact the first course I ever bought to learn more about blogging was from her back in 2015. She and her course helped me to learn a lot of the basics. At the end of 2018 I once again invested in one of her courses, Webinar Rockstar. Mariah is a Rockstar when it comes to webinars, I know because I've bought many a product from her webinars. Webinar Rockstar helps you to earn money with webinars. Simple enough, until you realize you need to send multiple emails, set up various pages, and then there are partner webinars - which are a whole different ball game. Mariah give you everything and I mean everything you need to run a webinar in a week. From templates, to swipe copy, to webinar presentation slides that help you to teach and pitch. With my first webinar I made nearly $300. It's not open for enrollment at the moment but you can sign up for her list to learn more. There is a lot to learn when it comes to blogging and even more to learn if you hope to earn some income from your blog. I definitely recommend taking advantage of free courses and resources to start, but once you can afford to invest in other courses, you should. They are paid courses for a reason, they are extremely valuable and will provide you with a return on your investment, but only if you’re willing to put in the work.